Sohail Inayatullah is currently the UNESCO Chair in Futures Studies at the Islamic Science University of Malaysia (USIM) and a professor at Tamkang University (Taiwan) and an associate Melbourne Business School (Australia). He is also an adjunct professor at the University of the Sunshine Coast (Australia). Professor Inayatullah has worked extensively with governments, international corporations, and non-governmental organizations around the globe. 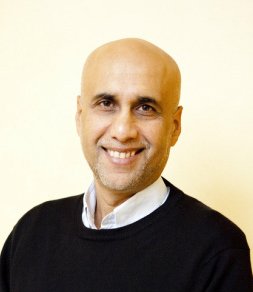 The inventor of Causal Layered Analysis, Sohail Inayatullah has written and edited numerous books, special issues of journals, refereed journal articles, anthology chapters, and editorial pieces. In particular, he is the editor of CLA 2.0: Transformative Research in Theory and Practice (Tamsui: Tamkang University Press, 2015). He is also the director of Metafuture, an international futures think-tank. At BEYOND STORYTELLING 2018 he will hold a key note and a masterclass (Sunday, June 10th, 2018) on the CAUSAL LAYERED ANALYSIS a framework and toolbox for developing alternative futures in organizations, institutions and policy making.